Simply put, tariffs are damaging taxes on American consumers. Tariffs of $30 billion a year would wipe out over a third of the savings American families received from the doubling of the standard deduction in tax reform. If the tariffs reach $60 billion, which has been rumored, the impact would be even more devastating. As we’re starting to see, tariffs could lead to a destructive trade war with serious consequences for U.S. economic growth and job creation. The livelihood of America’s consumers, businesses, farmers, and ranchers are at risk if the administration proceeds with this plan. We urge the administration to not impose these tariffs and to work with the business community to resolve the real and justifiable concerns raised by Chinese trade practices. The U.S. Chamber of Commerce is the world’s largest business federation representing the interests of more than 3 million businesses of all sizes, sectors, and regions, as well as state and local chambers and industry associations”. It would appear that unless it is part of a tactic to intimidate China into signing a new trade deal with the US, Trump’s tariff proposals represent a find of economic myopia that the business community whose support he requires, rightly rejects. While tariffs are designed to expand domestic industries at the expense of foreign producers, in reality, unless an efficient domestic infrastructure exists to immediately compensate for the much needed imports that will effectively be taxed out of the market, businesses will necessarily stall. This will consequently lead to the loss of income and jobs in the affected sectors, thereby decreasing American purchasing power and inflating the cost of goods among those who can still afford them. It is not a recipe for good economic health in an inter-connected global economy. As tariffs are a regressive tax, the Trump tax plan which has been healthy for many business sectors, could see its previously successful effects of federal tax reform be nullified by the new tariffs on vital Chinese goods. Protectionism has its time and place and this is usually in a newly industrialising nation that has not yet reached its peak output. When countries like Britain, the US, Germany, Japan and China began their unique and highly notable industrial revolutions, they did so under the cover of protectionist policies. In this sense, as a nation develops an industrial base, in order to reach the zenith of development, it is important not to rest on someone else’s laurels in the form of easy imports. Protection turns the industrialising nation into an industrial island, thus testing the limits of self-sufficiency in terms of industrial development and the development of an internal market. Once such a revolution reaches a comfortable level of self-sufficiency, a protectionist economy has reached maturity and is ready to test the waters of free trade. The immediate effect of this is that when such an economically mature nation feels confident that its industrial goods can complete on a global level, it needn’t fear that the access to foreign goods that will become available via free trade agreements will threaten domestic industries. In the medium and long term, such a reality helps an economy find its niche on the international market. Take Japan as one example. During Japan’s 20th century industrial revolution, the country was broadly protectionist, but today, Japan is happy to sign free trade deals across the globe. Japan currently has free trade deals with all of ASEAN, Australia, Mexico, Switzerland, Mongolia, Peru, Chile and India. Japan is confident in its own ability to consistently invest in its strongest industries that it no longer needs to build up tariff walls. Japan knows that in the fields of cars and electronics, it will always be one of the leading industrial powerhouses and as a result, welcomes free trade to compensate for areas that Japan has decided not to focus on, in exchange for the freer flow of Sony televisions and Toyota cars to partner nations. China industrialised far later in the 20th century than Japan, but when it began its industrial revolution in earnest under the guidance of Deng Xiaoping, it too protected its industries. Today’s mature and confident China is all too happy to sign free trade deals with any receptive partner. Beijing currently enjoys free trade agreements with the ASEAN block of nations, Pakistan, South Korea, Australia, New Zealand, Maldives, Chile, Costa Rica, Switzerland, Peru, Georgia and Iceland, while in the very near future, China may well have a free trade agreement with the Russian lead Eurasian Economic Union. If the US approached China with a free trade agreement, China would likely say “yes”, thus dispelling the myth that China somehow fears free trade agreements that would open up its internal markets. In reality, China is busily engaged in internationalising its internal markets from a position of confidence that is requisite for a world leading, mature industrial economy – one that continues to expand in spite of its mature characteristics. During either localised or global economic downturns there is always a temptation among some industrial nations to return to protectionism when one’s domestic industry feels threatened by younger industrial economies whose technology is more up to date and whose production methods learned from the mistakes of those who industrialised in previous eras. The most infamous example of such a thing is the 1930 Hawley–Smoot Tariff in the United States. Far from rejuvenating America’s mature industrial base which suffered after the Great Depression of 1929, the tariff is widely believed to have only exacerbated America’s industrial woes by forcing other nations to cut off once popular American industrial goods in retaliation, while depriving US consumers of economically desirable products from abroad. The knock on effect of Hawley–Smoot led Britain to pass its own version of imperial preference protectionism in 1932 after the Ottawa Conference, while Germany and France also turned against free trade in the early 1930s. Thus, one saw four mature industrial economies turning to protectionism against one another, rather than investing in their strongest sectors and feeling confident enough to do what China and Japan are doing today – embracing free trade with the knowledge that there are certain areas where the domestic economy can benefit from such agreements, particularly in sectors that are less profitable to major industrial powers. In exchange for this, they are allowing for economically weaker nations to relax their own tariff walls against Chinese and Japanese goods. When one puts up tariff walls in spite of having a mature economy, one can label this ‘revisionist protectionism’. This is so because protectionism generally only brings about economic success and industrial productivity in young/maturing industrial economies, while attempting to use protectionism to fix problems of industrial decline, rarely delivers in the long term. In the case of the US, what is needed is a more harmonious relationship between domestic producers in the private sector, government and workers organisations. In the US, there is a kind of phobia of government investment into companies and when such things do happen, it is usually to bail out a company on its last legs, rather than to rejuvenate a company in need of modernisation. Likewise, among US labor unions, there is a kind of allergic reaction to the kinds of quality control that exists in Germany. This is one of the reasons that German cars remain the most sought after in the world, while US cars continue to languish in consumer opinion polls. Ironically, there is one industry in the US that does run effectively on a model where government, management and the work force coexist on generally good terms. This is the defence industry. Here, government funds many research and development programmes, fulfils many orders and promotes products abroad, while the workforce is well paid, highly trained and due to the sensitive nature of the defence industry, has to go through special clearances in order to demonstrate both company and national loyalty. There is no reason why the US automotive, computing, electronics or textile industries could not work on the exact same model, minus the security clearances. If there was a US Senate Automotive Services Committee that suggested General Motors (GM) produce a certain kind of cutting edge, high quality care and invest in its development, and if GM had this incentive to find a domestic workforce that was incredibly skilled, hard working and well paid, all of the sudden one would see a US consumer product that would be attractive in both domestic and international markets. Imagine if all the seriousness devoted to Capitol Hill hearings on national defence, instead defined Congressional hearings on getting the US to make cars that people want to drive and audio/visual equipment people want to listen to and watch? It would represent a pivot from hostile practices in the name of war, to constructive practices in the name of prosperity. While it is true that in the defence industries, Russia and China sell their weapons for lower prices than the US, this has not stopped the US from selling many weapons abroad. Likewise, the cost of a Mercedes-Benz has not prohibited Mercedes vehicles from being purchased in high quantities throughout the world. As China’s workers begin earning even better pay and as automation takes over factories throughout the world, there is likewise no reason why the US could not enter into profit sharing agreements between the management of automated factories and American workers facing lay-offs due to automation. This way one would still be saving production costs due to automation, but one could ameliorate the problem of industrial unemployment by giving former workers a combination of shares in the company as well as a regular living wage that is related to the profits of said factory. The US might never be able to match China in terms of overall output and with China becoming a leader not only in quantity but also quality, China is without a doubt going to be the industrial king of the 21st century. Yet, this has not made Japan, South Korea, Germany or other major producers give up entirely. It is ironically in the US, a nation whose pop culture invented “the power of positive thinking”, that when it comes to industrial innovation and embracing hybrid economic models, deep pessimism sets in. At the end of the day, any product that is somewhat reasonably/competitively priced and is of high quality or unique in nature, will sell. There will always be a market for quality and unique goods and in an age where global purchasing power is diversifying in geographical terms. The US could and should accept geopolitical decline while embracing economic renewal. To the ordinary person, they would have more money in their pocket, domestically produced products that the world actually covets and enjoys and moreover they would be able to enjoy these goods in a more peaceful world. This is the primary reason that the US has grown weary of free trade. Even though the US economy depends on the easy access to imports from places like China, South Korea and Japan, many, including seemingly Donald Trump are scratching their heads at the fact that American industry has fallen behind East Asia. The reason for this is not free trade, but instead it is due to the fact that the US has failed to properly invest in modernising its industrial base, failed to overhaul its overall industrial business model and workplace practices and finally, while Americans grow ever more work-shy, East Asians work hard and it does not look as though this is going to change any time soon. The second solution is to find a long term global balance between free trade and protection. This is best accomplished through free trading blocs with a single internal market and the ability to negotiate with other nations or blocs as a whole. The most successful such bloc has been the Association of South East Asian Nations (ASEAN). ASEAN has created the largest free trading areas in history covering all of South East Asia, South Korea, Japan, China and India. The ASEAN block’s economic growth has been positively effected by the fact that South East Asian Nations are able to freely import and export among the world’s fastest growing economies, as well as a few mature and perennially strong economies. By contrast, the European Union has been a mixed success story. While the European Single Market has been uniformly good for all its members, other elements of the EU have been less successful. This is particularly true of the monetary union (The Euro), as well as the tendency of EU leaders to priorities political harmonisation over economic harmonisation. Much of this is owed to the fact that the EU was created to stop a third world war. Even though the idea of a war in 21st century Europe remains incredibly remote, this panicked attitude of the European Economic Community’s founders still haunts the modern EU. Inversely, the EU has shown itself to be generally apt at distributing the overall proceeds of wealth to poorer parts of the Union. This is one area where in the future, ASEAN could learn from the EU, just as sure as the EU could learn from ASEAN’s focus on trade, rather than politics and ideology. This leads to the Eurasian Economic Union(EAEU), a new trading bloc which looks to take the best from ASEAN and the EU, while avoiding the shortcomings of both. The Eurasian Economic Union looks to benefit from free trade among developing economies with strong historic connections to East and South East Asia as well as to Europe. As it becomes ever clearer that the US is keen on fomenting armed conflicts in the wider post-Soviet Eurasian space, the EAEU, like the European Union before it, does have a peace keeping modus operandi. However, the EAEU is structured on a pragmatic economic basis as ASEAN is, rather than on an overly political and ideological basis as the EU is. As the EAEU expands it could easily become a model for both ASEAN and EU reform, as well as a model for modernising the North American Free Trade Area (NAFTA), as well as the somewhat fledgling Latin American Integration Association. The 21st century model for free trading blocs who at the appropriate time and place can cooperate with one another, is a useful compromise between free trade and protectionism. Such blocs foster internal free trade in order to pool the strengths and compensate for particular weakness among members, while preparing to do trade deals with other trading blocs or economic super-powers which serve as ‘one nation blocs’ (countries like China, Japan etc.). This model has proved itself effective for both mature and developing economies. When combined with smart, effective internal investment in declining mature economies, this global model provides the best opportunities to create a win-win situation for the nations of the wider world. In the specific case of China, if Beijing feels its businesses are being unduly shut out of the large US market, the country will simply pivot its attention to the many other important and vast markets around the globe where Chinese products are not only valued but can be traded without punitive tariffs. This could have the knock on effect of speeding up China’s gradual selling-off of US Treasury Debt which would take a bite out of the international value of the US Dollar. At the same time, Trump’s decision to artificially inflate the price of Chinese goods could encourage China to speed up its path toward the inevitable day that the Yuan becomes a floating currency. The Chinese Yuan has been pegged to the US Dollar in the same way that prior to the creation of the Euro, the European Exchange Rate Mechanism pegged multiple European currencies to the Deutsche Mark. For China, western consumers and manufacturers who rely on Chinese products, this has been a win-win as it has kept Chinese products affordable vis-a-vis the Dollar, while it has allowed China’s companies to engage in successful transactions with the world’s formerly largest consumer base in the US. This has also made it attractive for China to purchase vast sums of US Treasury Bonds, which has helped inject much needed cash into a deficit strapped US economy. The combination of China outpacing the US in terms of being the largest domestic consumer base, combined with the opening up of new developing markets in Asia, along with the recent US turn away from free trade to protectionist principles, has led China to take steps which are clearly preparations for a free floating Yuan. Ever since 2015, China officially detached the Yuan from the Dollar and instead pegged the Yuan to the currency basket known as Special Drawing Rights (SDRs). This currency basket is an aggregate value of the Dollar, Japanese Yen, Euro, British Pound and beginning in 2016, also the Yuan. “In the process of internationalization of the yuan we have taken sufficient measures that from now on will allow the yuan to be used in trade and investment. Moreover, the yuan has been included in the SDR currency basket. The key procedures have already been carried out… As for the future role of the government or the Central Bank in the internationalization of the yuan, to my mind, it is still possible to do something to establish communication between domestic and international capital markets. We cannot force anyone, decisions are made based on their own logic, that is why it is a gradual process. We will continue gradual internationalization of the yuan”. In simple terminology this means that China is making preparations to float the Yuan on the open market, a decision that has almost certainly been sped up due to Donald Trump’s love of tariffs, which are designed to take away any remaining Chinese competitive advantage. When the Yuan eventually floats, not only will it come to replace the Dollar as the international reserve currency, but it will also become the de-facto petro-currency, thus replacing the petro-Dollar that has been America’s de-facto currency stabilising mechanism ever since Richard Nixon took the US Dollar off the gold standard in 1971. At such a time, China will almost certainly begin to sell off some of its US Treasury bonds in anticipation of a falling Dollar and rising Yuan. The result for the US will be a limitation of purchasing power among both consumers and businesses, as well as the bloated US public sector. This process will also lead to reduced US influence among energy producing nations whose transactions will begin to use the Yuan rather than Dollars. At the same time, Chinese goods will likely still be more affordable than those made in the US, because as a more efficient producer, China can always do what Japan did in the 1980s and artificially lower the price of its goods in certain foreign markets (including the US) in order to make gains on overall volume and market share, rather than in terms of a dollar-for-dollar profit. One mustn’t forget that many in the US said about Japan what they currently say about China, even though the Japanese Yen was incredibly strong in the 1980s vis-a-vis the Dollar. Thus, when China does float the Yuan and allow its value to skyrocket, the US might find itself regretting pushing China to this decision which is now all but inevitable in due course. 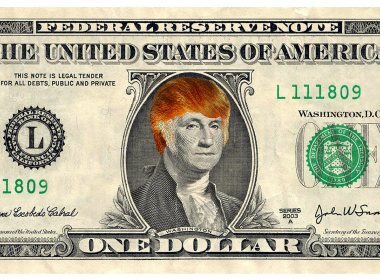 Donald Trump’s flawed economic thinking will not only be detrimental to American businesses, workers and consumers in the short term, but it could bring about the medium and long term demise of the US Dollar which in turn would thrust Chinese economy from the number two to number one in the world, even more rapidly than it is already set to happen. Trump’s tariffs represent a lose-lose situation in which the US will ultimately suffer the most and for the longest period of time ,while China has the ability to regroup its economic activities away from the US while still creating domestic economic growth in the medium and long term. Adam Garrie is Director at Eurasia future. He is a geo-political expert who can be frequently seen on Nedka Babliku’s weekly discussion show Digital Divides, RT’s flagship debate show CrossTalk as well as Press-TV’s flagship programme ‘The Debate’. A global specialist with an emphasis on Eurasian integration, Garrie’s articles have been published in the Oriental Review, Asia Times, Geopolitica Russia, the Tasnim News Agency, Global Research, RT’s Op-Edge, Global Village Space and others.